Abundant Life International Ministries (ALIM) believe that God has called them to equip the Church of Christ in Uganda to ensure that it gets rooted in deep Biblical teaching and truth as it matures and grows. Many Pastors and church leaders are being pulled in many different directions by the standards of the world and not God’s. In many cases, they are bombarded with ever-changing church growth programs, new methods of operation, and styles of worship; and their congregations direct them in a multitude of directions seeking to have their personal preferences met. A pastor is expected to make his church successful, always be on the cutting edge, produce quick growth, and keep everyone happy. There is pressure to perform rather than to grow in integrity and faithfulness. ALIM’s emphasis for organizing and funding these teaching conferences is to encourage the church to continue with the simple message of Jesus Christ, preaching and teaching the Word of God and the cross-centered life. 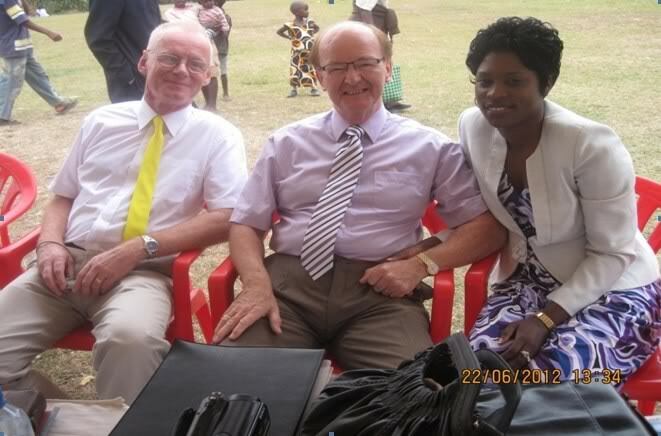 The ALIM team under the leadership of Pastor Ernest (NI) in company of Pastor Mike Smith from New Life Church of Stow market/Suffolk England held a conference in the new District of Mitoma (21st-23rd) and Rukungiri, both in Western Uganda on 24th to 27th. The conferences were both coordinated by Elisha Kakwerere, a senior Pastor of Rukungiri Community Church with the assistance of Pastor Bagwa of Mitoma Christian Worship Center. The two Pastors coordinated the activities ranging from chairing the organizing committee meetings, to overseeing the entire programme during the conferences. 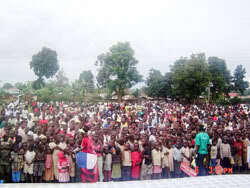 The conference average attendance was 600 in Mitoma and 400 participants in Rukungiri. Both conferences were held in tents as there was no space sufficient enough indoors to accommodate such large numbers of participants. The conference in each district started at 9.00am and ended at 5.00pm with praise and worship interludes and a Lunch break between 1:00 -2:30pm. 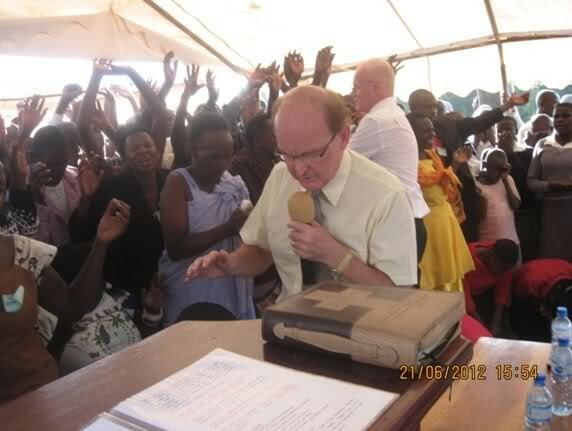 There were 12 separate teaching sessions during each conference, and several outstanding praise and worship leaders participated in the programme. The conferences were residential for participants from far towns and communities, and those who live nearby commuted. Two hundred and fifty delegates were residents in Mitoma and 200 in Rukungiri respectively. Meals were provided for all the participants. The conference officials hired the catering services that prepared the meals and served them. EFFECTIVENESS OF THE TEACHINGS The effectiveness of the teachings was measured by the level of the commitment that the participants exhibited by attending sessions all through the 3 days of each conference. The teachers of the word provided notes for all the messages that they delivered. The pastors and leaders commended ALIM for its commitment and emphasis that the church of Christ should work together to promote unity of purpose. Among the areas of emphasis during the teaching sessions was the work of the Holy Spirit and how He is needed in the church to enable it to move in power. Many delegates experienced the baptism of the Holy Spirit for the 1st time, an experience that has changed their lives forever. In Mitoma, one of the ladies who came forward to be baptized in the Holy Spirit was a Moslem. After the welcome of the Holy Spirit in the tent of meeting, this lady was baptized, started speaking in tongues and she is now a Christian ever since. The Pastor came to know about her when she testified in Church on the Sunday following the Conference. Some church leaders having more than one wife. At the end of the session, 16 couples were wedded in Holy Matrimony and the marriages sanctified before God, 10 in Mitoma and 6 in Rukungiri respectively. The pastors and leaders present resolved never to put a price on their daughters again. They also resolved to start a campaign against bride price and demands for expensive wedding ceremonies in the region starting from the church. APPRECIATION We register our thanks to God for the grace he has placed on His servants that enabled them through ALIM to carry out this noble task in Mitoma and Rukungiri. 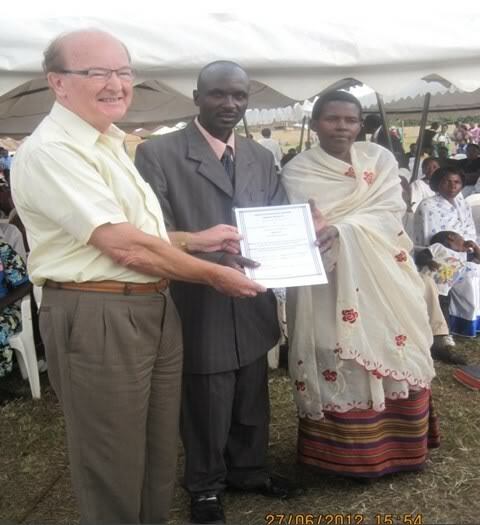 Many thanks go to Pastor Ernest Howie for the financial support that facilitated these conferences as well as his availability to be used of God to deliver the much needed teachings to the church of Christ in Uganda. 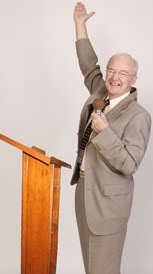 We thank Pastor Mike for his availability to be used of God. 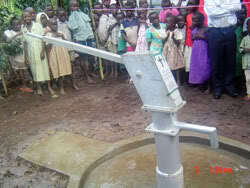 We appreciate the efforts of the team on the ground led by Pastors Elisha and Bagwa, for their commendable job. To all of you who prayed and played a role, we commend you to the Lord and pray that He rewards you immeasurably.